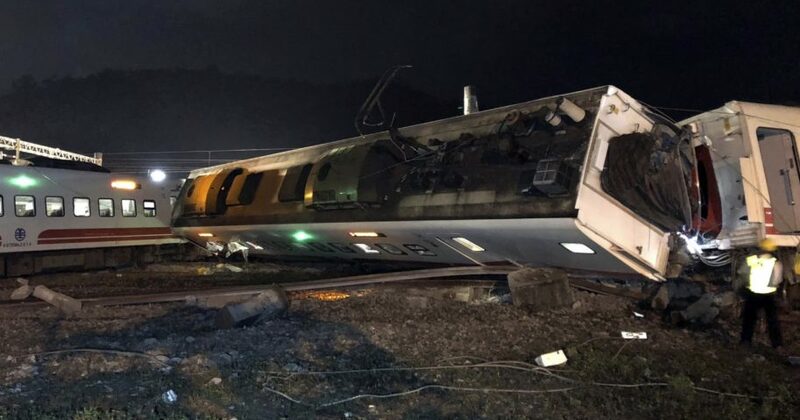 At least 22 people were killed and 171 others injured on Sunday when one of Taiwan’s newer, faster trains derailed on a curve along a popular weekend route, officials said. Late Sunday night, hours after the Puyuma express derailed, one of the train’s eight cars was seen tipped over at about a 75-degree angle, with the entire right side destroyed. Firefighters with lights on their hard hats, fearing people may be trapped beneath the car, were looking underneath as a crane prepared to upend it. The train was carrying more than 366 passengers from a suburb of Taipei in the north to Taitung, a city on Taiwan’s southeast coast, when it went off the tracks at 4:50 p.m., the Taiwan central government said in a statement. The National Fire Agency cited the Cabinet spokesman’s office as saying 22 people were killed and 171 injured in the disaster. 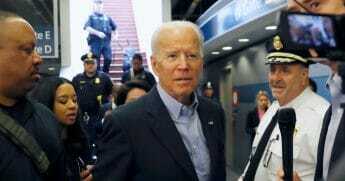 Soldiers removed bodies to identify them, he added, but nightfall complicated the rescue work. Photos from the scene just south of the city of Luodong showed the train’s cars in a zig-zag formation near the tracks. Five of the cars are turned over on their sides. The Puyuma was launched in 2013 to handle the very difficult topography of Taiwan’s east coast and is distinct from the high-speed rail that runs on the west coast. The Puyuma trains travel up to 150 kilometers (93 miles) per hour, faster than any other in Taiwan except for the high-speed rail.